Abhinaya Dance Company is dedicated to propagating the cultural heritage of India through instruction and performances of Indian classical dance. 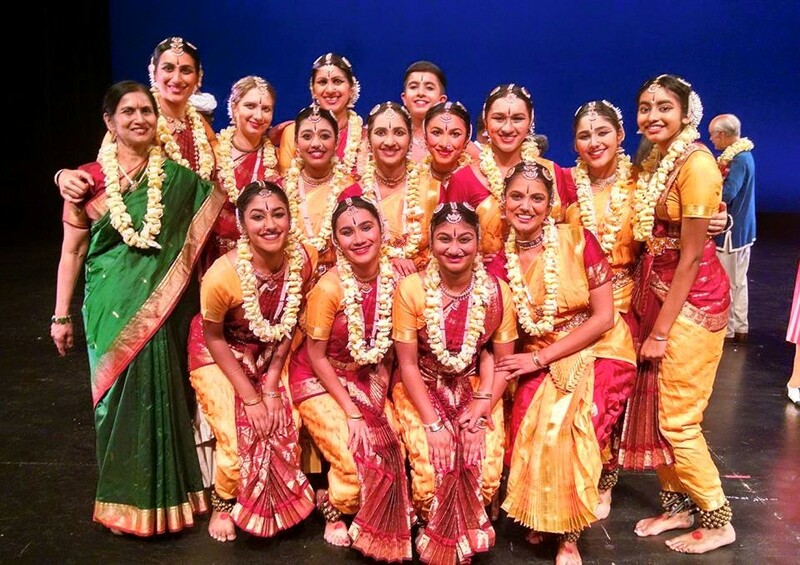 The Abhinaya Dance Company of San Jose was founded by its Artistic Director Mythili Kumar in 1980, to present innovative and professional quality performances of South Indian classical dance forms. Since 1986, Abhinaya has staged several full-length dance dramas choreographed by Mythili Kumar, such as Shiva – the Cosmic Dancer (1986), to Jwala – the Immortal Flame (2011), Gandhi ( 2012), and the recently acclaimed Arjuna (2014). Abhinaya has been awarded several grants from the National Endowment for the Arts and from state and city agencies. The company has collaborated with Kathak and modern dance companies, Japanese Taiko drummers, ShadowLight Theater, and a Balinese gamelan ensemble. The company has appeared several times in the San Francisco Ethnic Dance Festival and in several different Asian Performing Arts Festivals. 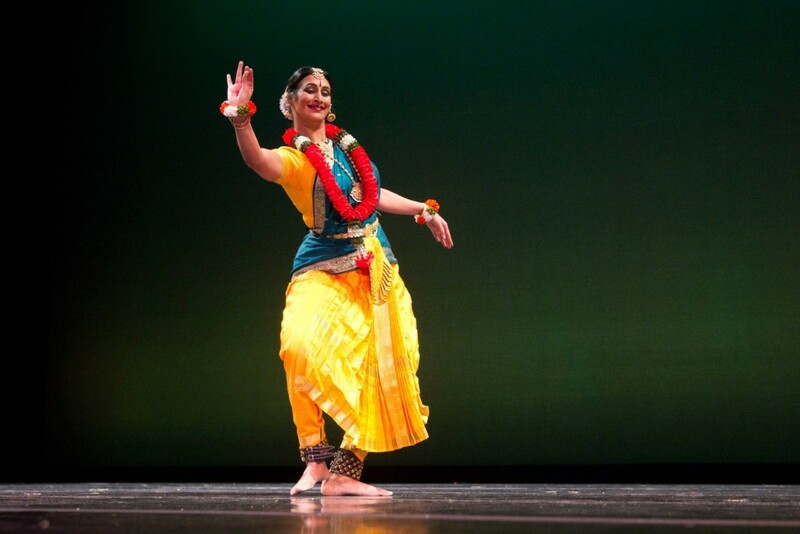 Abhinaya dancers have toured India as well as several U.S. cities. Abhinaya currently offers classes in San Jose and Monte Sereno. Over 130 students have graduated from Abhinaya with their solo debut (arangetram) performances. An accomplished artist, Mythili Kumar performed extensively in India before moving to the U.S. in 1978 and founding Abhinaya Dance School in 1980. Her artistic ability and the high quality of her dance choreography have been recognized in the U.S where she has been awarded several Choreographer’s Fellowships from the National Endowment for the Arts. Mythili has taught at Stanford University and San Jose State University, and currently teaches a fall semester course at University of California at Santa Cruz. In 2002 the Shiva Vishnu Temple of Livermore awarded her the title, ‘Abhinaya Kala Ratna’ for her dedicated service to dance. Bharath Kalachar in Chennai awarded her the title ‘Viswa Kala Bharati’ in 1999. In 2010 she was honored by World Arts West with the Malonga Casquelord Lifetime Achievement Award and received a Sustained Achievement Award from the Bay Area Isadora Duncan Award committee in 2011. Most recently, she received the 2015 Legacy Laureate Award from SVCreates for her sustained dedication to dance. Rasika Kumar is a Bharatanatyam performer and choreographer, steeped in tradition but with contemporary sensibilities. She is currently the Associate Artistic Director of the Abhinaya Dance Company of San Jose (ADC), having studied under her mother Mythili Kumar, Artistic Director of ADC, and other renowned teachers. Since 2005, Rasika has been a soloist, principal dancer, and choreographer for all of ADC’s performance seasons. Her choreography has been featured in the San Francisco Ethnic Dance Festival and SF WestWave Festival and has earned her an Arts Council of Silicon Valley Performing Arts Fellowship (2008). Rasika’s collaborative rhythmic arrangement with Franco Imperial of San Jose Taiko garnered an Isadora Duncan Award in the Music category (2011). Last year, she won the Lakshmi Viswanathan Award from Sri Krishna Gana Sabha (Chennai, India) for her solo performance in the 2014 season.